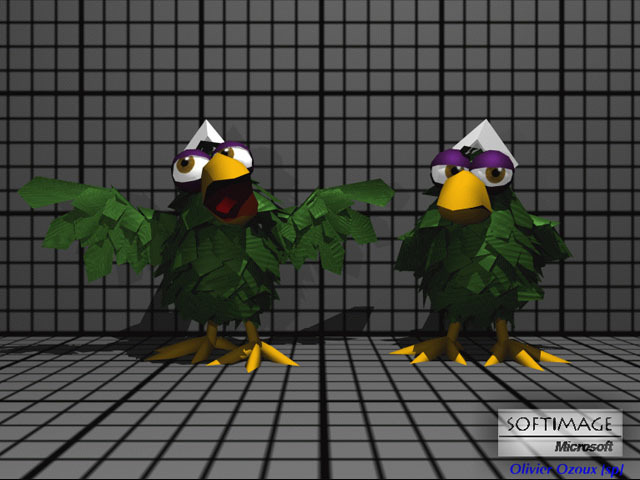 Ruby the CG parrot in a Softimage-Live virtual set. You can synchronize live action and computer-generated (CG) animation in real-time to create a virtual set by using SOFTIMAGE channels and SOFTIMAGE Live. This involves creating a set and virtual characters in SOFTIMAGE|3D to interact with real actors that are positioned in front of a blue screen. Real people control the movements of the virtual character and the camera in real-time! This entry was posted in Friday Flashback and tagged 3D, Friday Flashbacks, Softimage by xsisupport. Bookmark the permalink. Why don’t you post them on the mailing list anymore?